The control scheme of Sekiro: Shadows Die Twice on Xbox One, PC and PS4 is relatively similar to previous Soulsborne games. However, there are notable differences, including the grappling hook and more. So, both veterans and newcomers might need a quick lesson on Sekiro Shadows Die Twice controls. That being the case, here’s our Sekiro Controls List – PlayStation 4, Xbox One, PC guide to show you the ins and outs of the basic controls in Sekiro: Shadows Die Twice. The control scheme in Sekiro Shadows Die Twice on PS4, Xbox One and PC should be relatively familiar to people that have already played Dark Souls or Bloodborne. That said, Sekiro includes some major changes to the gameplay, such as a bigger emphasis on stealth and the added verticality that the grappling hook provides. This is to say nothing of people to whom Sekiro will be the first encounter with From Software games. If you are one of them: Hi! Get ready for your soul to get crushed! Anyway, enough faffing, let’s get right into the controls list of Sekiro. Quick side note for PC players: we’re going to assume that you’ll be playing using the Xbox game pad. And that about wraps it up, really. 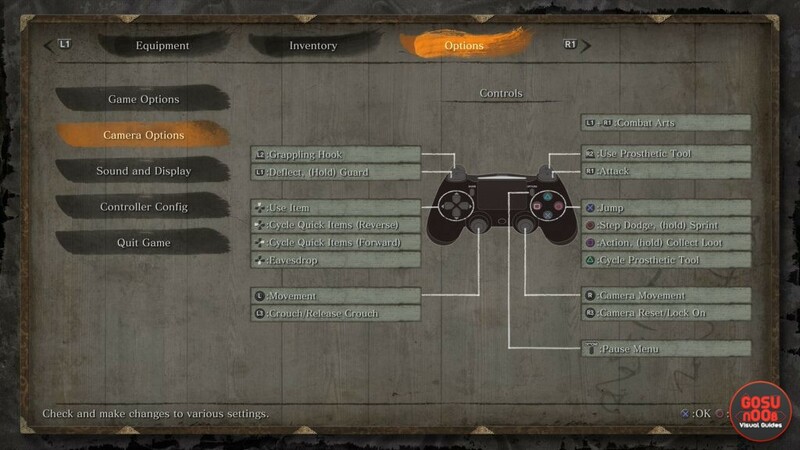 Those are the basic controls that you’ll need to know in order to play Sekiro Shadows Die Twice. In case you need further help with the game, do feel free to browse our other Sekiro guides, including Treasure Carp Scale Locations – Where to Find Pink Carps and How to Upgrade Prosthetic Tool.